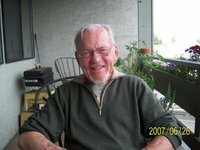 Bob Burkholder is the author of Skirting the Edge (2008), a look back at his childhood in Kansas, his family and friends, and his work in Alaska as mammal control agent and wildlife biologist for the U.S. Fish and Wildlife Service. Burkholder says his book "... is partially my record of events that occurred during a special era in Alaskan History from 1949 to 1964, during and after Alaska became a state. ... It's about flying, hunting, and fishing, and people, and politics. It is about successes and failures." 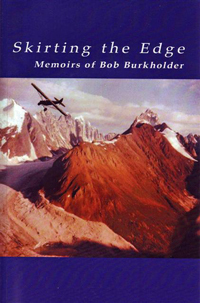 Underlying the author's account is a deep conservation ethic that Burkholder says has served him well as a guide to a successful and satisfying life.